You are cordially invited to join us for an evening or afternoon of relaxed elegance and exceptional cuisine. Our impressive menu of nationally renowned dry aged steaks and the freshest of seafood will ignite your culinary imagination as our award-winning wine list of more than 5,000 bottles awakens your inner sommelier. And as our gracious, knowledgeable servers delight you with their uncanny ability to anticipate your every need, you’ll experience firsthand why the American Culinary Federation recently bestowed upon us their “Achievement of Excellence Award.” Whether you’re celebrating a special occasion or hosting a business luncheon or dinner, we can help you flawlessly pull off any private dining event. Our event planning staff has extensive experience and the ideal materials to work with—a capital setting, distinctive food and unmatched service. 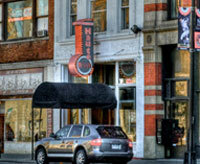 Located in the heart of the Hennepin Theatre District. 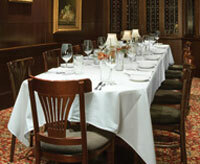 Welcome to Gluek’s Restaurant & Bar - the OLDEST restaurant in downtown Minneapolis. 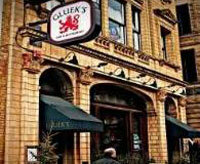 Family Owned & Operated since 1934, Gluek's has been serving Minneapolis since Prohibition and is a local favorite!! Enjoy lunch, dinner, happy hour or host a private party in our FREE Banquet room...perfect for any occasion! The food is fabulous with generous portions and the friendly service will keep you coming back time and time again. Old world charm can be found everywhere at Gluek's with a European Beer Hall atmosphere, high arched ceilings, gorgeous stained glass windows and natural wood work. Have you had a GLUEK BEER today?! Minnesota has been drinking GLUEK BEER since 1857 so there's not a better time than NOW to go ahead and have one for yourself! We offer Gluek Pilsner, Gluek Golden Light, Gluek Red and Gluek Honey Brown on tap in 4 different sizes! Be like the bottle...say GLUEK GLUEK GLUEK! 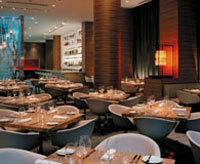 restaurant Max features lifestyle cuisine highlighting the fresh seasonal offerings of the local region. 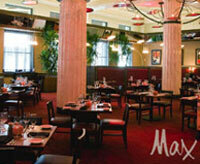 Located at the corner of 2nd Avenue and 4th Street in downtown Minneapolis and adjacent to The Hotel Minneapolis, guests love restaurant Max’s innovative yet approachable style as they relax in an atmosphere that is fresh and creative and enjoy an attitude that is warm and welcoming. Lifestyle Cuisine at restaurant Max means providing the guest with the dining experience they are looking for at that moment: food, portions and beverages that support your situation; a business lunch, a dinner celebration, a time to share with friends, a thoughtful meal alone, each experience featuring flavorful, fresh menu selections. Ruth's Chris Steak House in Minneapolis, MN serves the finest USDA Prime beef available, broiled at 1,800° and served on 500° plates, so your steak stays hot, juicy and delicious from first bite to last. Enjoy our New Orleans-inspired appetizers, USDA Prime steaks, fresh seafood, signature side dishes and homemade desserts. 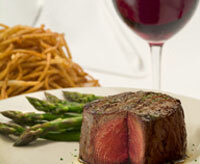 All this while you enjoy our warm, inviting atmosphere and Ruth’s Chris’ genuine hospitality. So whether you’re a regular or have just been wondering what all the buzz is about, Ruth's Chris is the perfect excuse to enjoy the perfect night out. Dinner is served nightly, reservations are suggested and private dining and offsite catering may be arranged.